Autodesk Fabrication CAMduct software is a powerful manufacturing and production management tool for sheet metal and ductwork manufacturers that helps to efficiently produce and track the production of HVAC systems. More easily manufacture ductwork components. Use comprehensive libraries of fully parametric 3D fittings, driven by pressure-class standards that help meet your specific requirements. Benefit from a graphical user interface that promotes ease of use for job entry during ductwork production. Collaborate more seamlessly with drafters and detailers by linking to Autodesk Fabrication CADmep software, and better monitor your financial bottom line by linking to Autodesk Fabrication ESTmep software. Directly use models created in Fabrication CADmep or use a variety tools to help simplify job takeoff. Nest on the desktop or use new cloud nesting-powered by Autodesk 360 to perform holistic sheet metal nesting, helping to maximize your material utilisation. Interface with and control a wide range of machines used in the manufacturing and production of ductwork and sheet metal components, including burning tables(plasma, laser, oxy-fuel), coil lines, and insulation cutters (water jet, router, tangential knife). Improve productivity while providing client benefits. Add additional job takeoff stations using Autodesk Fabrication CAMduct Components 2014 software to help increase throughput. Improve client satisfaction and project management benefits by using Fabrication CAMduct and Autodesk Fabrication Tracker 2014 software to barcode and track system parts from manufacturing to installation. 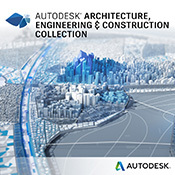 Enhance productivity by proactively planning for job site amendments using Autodesk Fabrication RemoteEntry software.